One of the most noticeable features in any room is the windows. They allow light and air into the room, which sets the tone for the overall feel of the space. Sometimes it is necessary to replace your windows; for example, if they crack or are not energy efficient. If you are planning to replace your windows or create new ones, the most popular type of window material to consider is vinyl. What exactly are vinyl windows? Vinyl windows are made up of a plastic called PVC, or Poly Vinyl Chloride. This material is very durable and resistant to corrosion and rotting, making it an ideal material for windows that face the exterior elements of your house. Vinyl will stand up to daily wear and tear very well, is scratch-resistant, and only needs minor, basic maintenance. Another type of vinyl material is uPVC, which is considered to be environment friendly. Very little energy is required to manufacture these types of window frames, which helps conserve natural resources. Manufacturing wooden frames and aluminium frames consumes a lot of energy, so if an eco-friendly material is important to you, vinyl is definitely the best option. Vinyl windows have several advantages over those built from wood. They are lighter, less expensive, and provide better insulation. Wood windows tend to allow air to leak around the edges, due to the way the material contracts or expands in relation to the weather. Vinyl windows, on the other hand, are nearly air tight, which reduces energy loss as well as your energy bills. Another benefit of vinyl windows is that they increase the comfort levels inside a room by reducing outside noise from coming inside. This is especially true for vinyl windows filled with argon between the panes because the gas is denser than the air, which creates an additional layer of insulation against sound transmission. 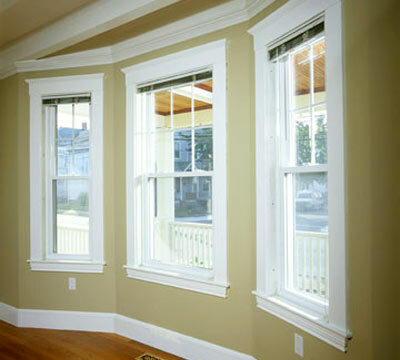 Installing vinyl windows on your house is a worthwhile investment that most assuredly pays for itself in the long run. Talk with your local hardware store to find out more about the vinyl options that are available.